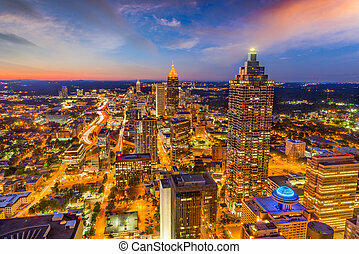 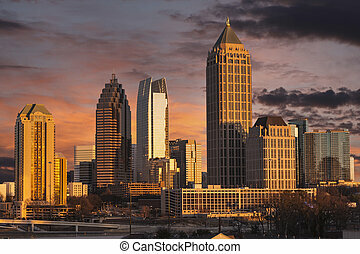 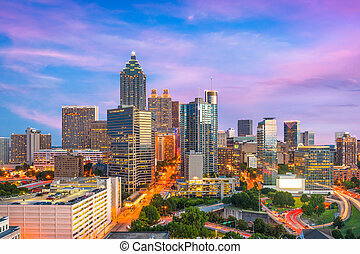 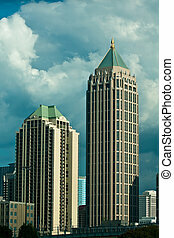 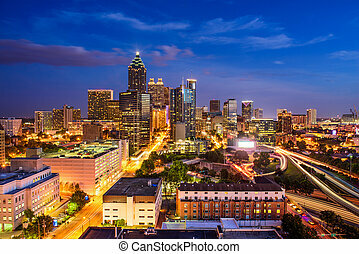 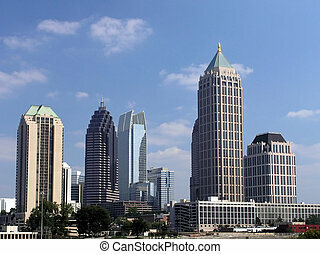 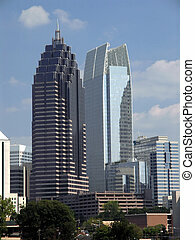 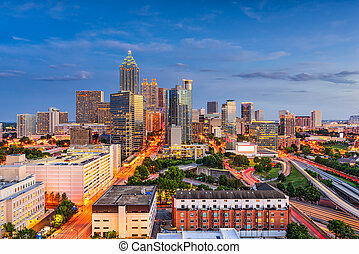 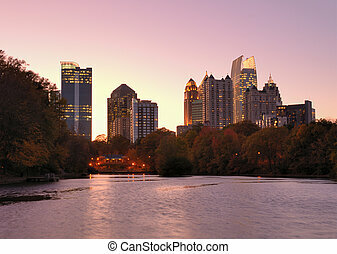 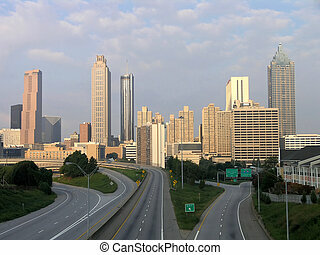 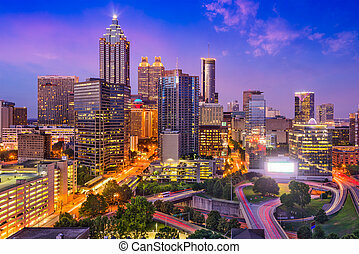 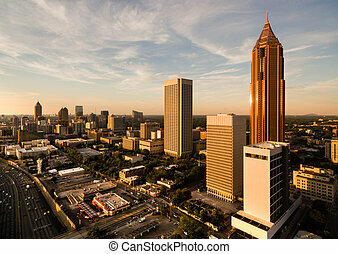 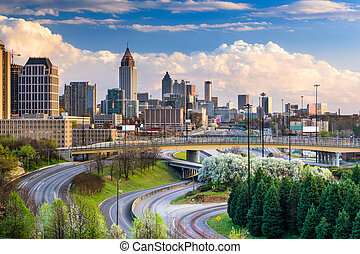 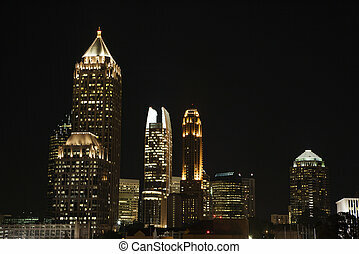 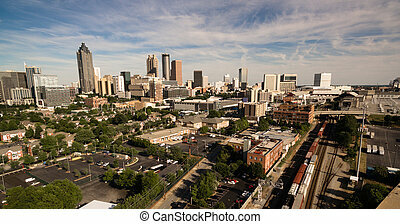 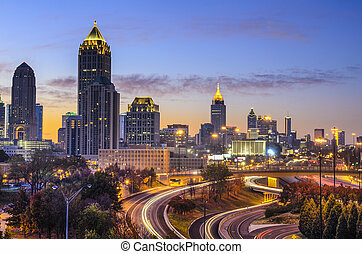 Atlanta, georgia skyline. 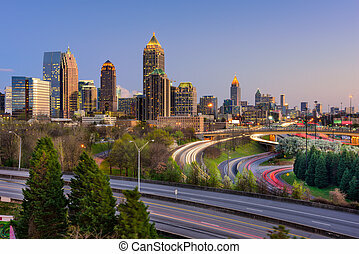 Atlanta, georgia, usa skyline over freedom parkway. 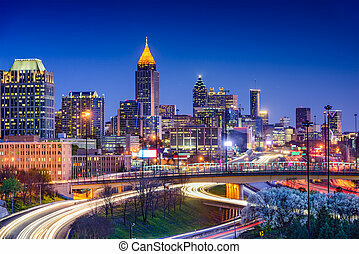 Atlanta, Georgia, USA skyline over Freedom Parkway. 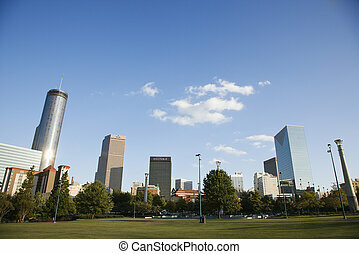 Skyline behind Centennial Olympic Park in downtown Atlanta, Georgia. 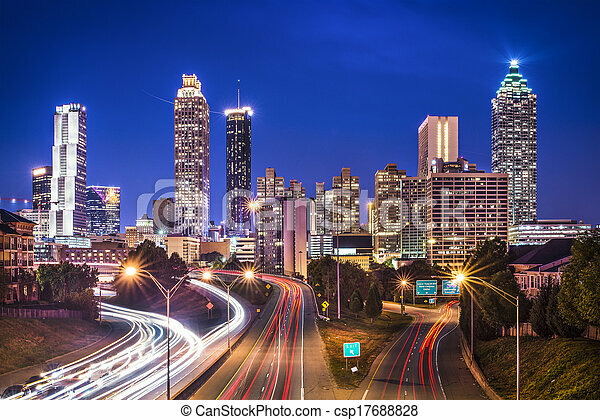 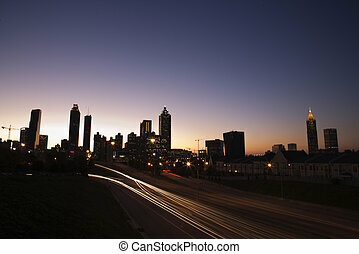 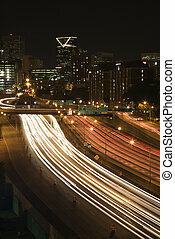 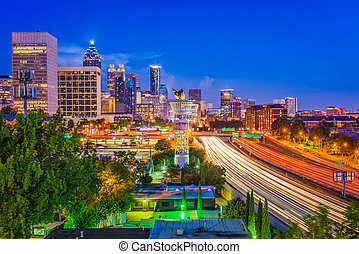 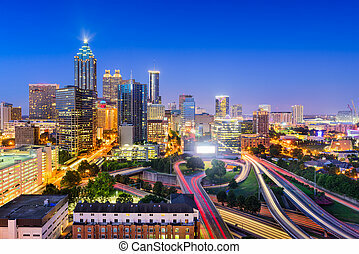 Nightscape of Atlanta, Georgia skyline with blurred automobile lights on highway. 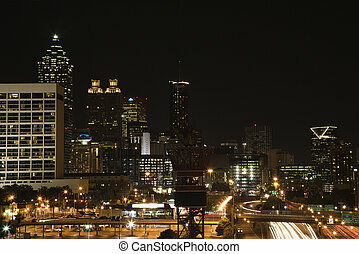 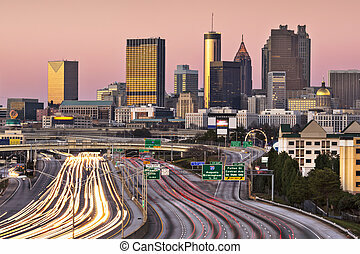 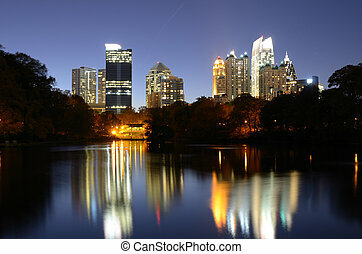 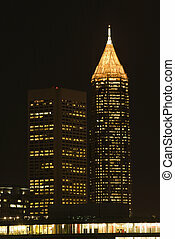 Nightscape of Atlanta, Georgia skyline with blurred automobile lights on highway in foreground. 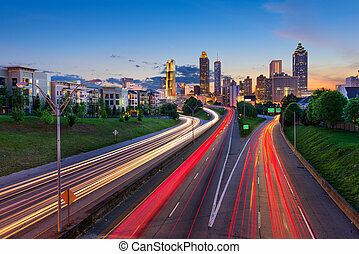 Atlanta, Georgia, USA twilight rush hour. 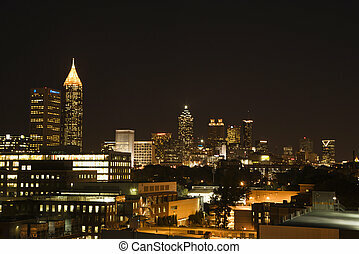 Atlanta, Georgia, USA downtown cityscape at night.